One Planet Yarn And Fiber Drawing Giveaway! In my latest podcast episode, I had the privilege of sharing a story from designer Anne Hanson of knitspot.com about an incident surrounding her lovely Les Abeilles shawl. Pattern found HERE. Just like all of her patterns, this shawl is just beautiful! And I think it would be a perfect pairing with this soothing Sea Wool yarn. I love this blend of colors! This shawl project could be yours! Enter to win this skein of Fleece Artist Sea Wool (provided by One Planet Yarn and Fiber) along the lovely Les Abeilles shawl pattern (by Anne Hanson) by leaving a comment under this post. and only one comment per person please! A winner will be announced here on October 1. Please check back then to see if you have won! 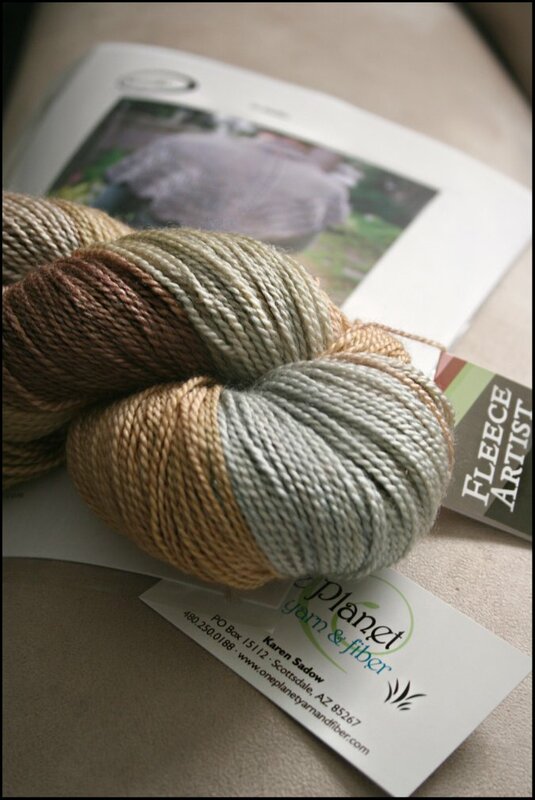 Listen to Episode 58 for a special September promotion from One Planet Yarn and Fiber! Congratulations to the winner, Fibercrafter!